It isn't a manual, nor even a reference. Its intention is to show how I work. Its subject is my workflow, in my workplace. If you are curious, come and join me for a while! With almost 30 years of market presence under its belt, Photoshop is one of the most popular and powerful image editing software packages. 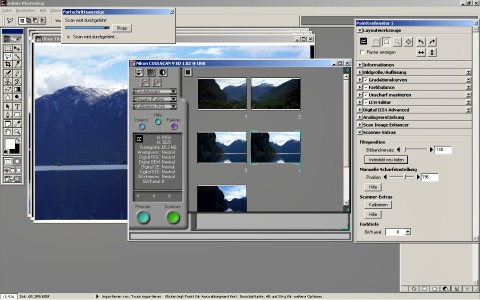 From the beginning, it has become the tool of choice for many professional photographers. If I were to name the reasons, then it would be for its data model and flexibility with regard to different workflows. 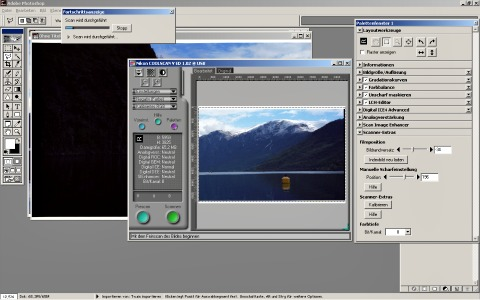 The image manipulation tools available in the package are pretty much the same as with many other programs. However, the way they are applied is quite unique. The main focus is made on preserving the original image by providing smart change management. All usual editors alter the source data with every modification. The image is overwritten every time it is saved. The only chance to retain the original and different stages during its processing, is to create a new file copy after each and every step. There is no need for it with Photoshop. Instead, each change can be applied in its own layer. The original doesn't have to be overwritten—it is overlaid. For example, even converting a colour image to black-and-white can be executed in a very safe manner. All you need to do is create a new channel mixer adjustment layer with the greyscale output. The colour information still remains preserved in the image. With this "a layer a change" strategy, no modification is destructive. Moreover, it is possible to have many different variant layers, but make only some of them count in the end by hiding any unnecessary ones—just click on the eye icon next to the layer to render it invisible. In addition, layers can be combined in different ways, or blending modes, and made partially transparent to reduce their overall impact on the final image. Adding a mask can further limit their effect to some image areas only. The concept allows for endless variations saved within the same image file. Additionally, every modification gets stored in the history protocol. The user is able to jump directly to every entry in it, without the necessity to undo the previous steps one by one. This makes it easy to test some "what if" scenarios. You can try any actions and then either dismiss them altogether, or apply their results in a new layer back in the past. To make it even more comfortable, different processing states can be saved as snapshots and compared to each other before proceeding with the best one. Another important "professional" feature of Photoshop is its elaborate colour management. The application supports different colour profiles and allows converting images from one to another. With its colour proof function, it is possible to estimate how the image will look like in another profile, for example, when printed on different paper types. If it weren't enough, Photoshop lets you extend its capabilities by integrating your own and third-party components. and possibly more—I wouldn't claim knowing every program feature yet. You would be right to expect me working with some odd tools, considered my aged camera and its analogue inside. Since my old laptop, a 2008 MacBook Pro, quietly died on me at a hotel in Brussels, I work on a refurbished one from 2012, with large memory and a huge SSD. 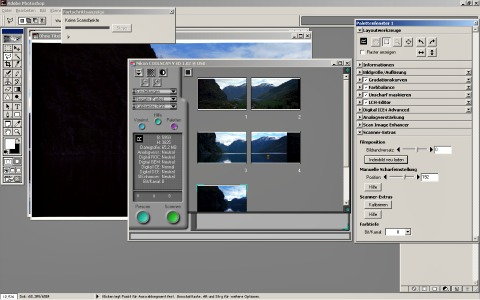 On it, Windows XP runs in a Parallels VM and hosts Adobe Photoshop 6.0.1 with two plug-ins, PhotoKit and PhotoKit Sharpener. This Windows machine also connects to a Nikon CoolScan V ED film scanner over the NikonScan 4 driver. Nothing spectacular, save for its peculiarity. Everything starts with a scan. The CoolScan was a dedicated 35mm film scanner able to process strips of negative film with 2-6 images, or single mounted diapositives. Mine, of course, still is, but I am pretty sure there are not many of them around. Since images out of my XPan are 1.8 times as wide as classic 35mm frames, I only have a choice of working with double or triple strips. Scanning a panoramic image requires pretending it being two different frames, making two scans, and combining their results to a single whole. When everything's in place, the image is flattened to become one. From now on, it is processed as a whole. The next step is to fix the horizon. The viewfinder in my camera lacks any level indication when I take an image, so every now and again the horizon ends up sloping. This can be quite a nuisance, especially with panoramic photographs, since correcting it results in significant areas cropped out of the picture. This usually starts with repairing small blemishes left over from scanning, like scratches, flecks and discolourations. This can take up quite some time. I scan with 4000 dpi, meaning the normal panoramic frame of 65x24mm ends up as an image with up to 10,100x3,680 pixels. This is *a lot* to examine and enhance. Then it's "standard" levels and curves optimisation, combined with correcting a rather non-standard light drop issue along the edges. This is related to both frame size and lens construction, and can become noticeable with a wide-angle lens and/or at large apertures. This is how the final image looks like. To publish it on the Web, I resample it to 1200x430 pixels and sharpen the result, then save it as JPG. Photoshop is one of the oldest software applications, being around for almost 30 years. Since its very early versions, the program contains some remarkable not-so-hidden features. One of them is the image of its patron magician, Merlin, presented here in its original size. The window title is "Merlin lives", and the button reads "Away with you!" To make it appear, hold the Alt key pressed and click on the triangle in the layer palette, then select Palette options... from the menu. 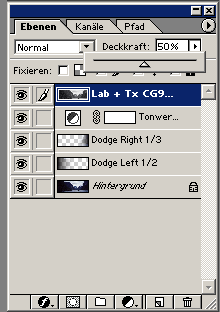 This is the longest-lived easter egg, in existence since Photoshop 3.0 from 1994 (codename: Tiger Mountain), but absent in CS6 (sequence number 13, codename: Superstition). 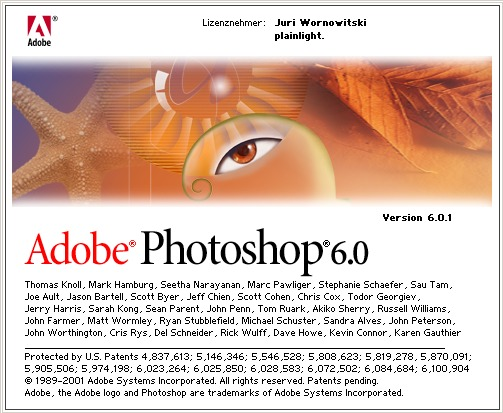 For ages, beta test versions of Photoshop have featured a splash screen image different from the retail version. The alternative usually relates to the version codename and remains in the final version as an easter egg. To reveal it, hold the Ctrl key pressed down (Cmd on a Mac; sometimes a combination of Ctrl+Alt/Cmd+Alt, respectively, will do the trick) and select Help/About Photoshop... with the mouse from the menu. If you sit through the long list of thanks scrolling by, you can see your own name mentioned as "one of our favorite license holders". The cat was actually present in all beta test splash screens since its namesake version 4.0, like some sort of an easter egg on its own. 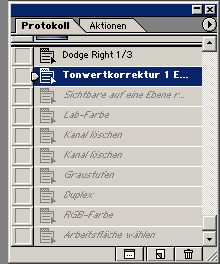 I wonder if Creative Cloud (CC) versions continue this tradition. Family of plug-ins for Photoshop versions since CS3, created by those involved in Photoshop development, testing, and using. 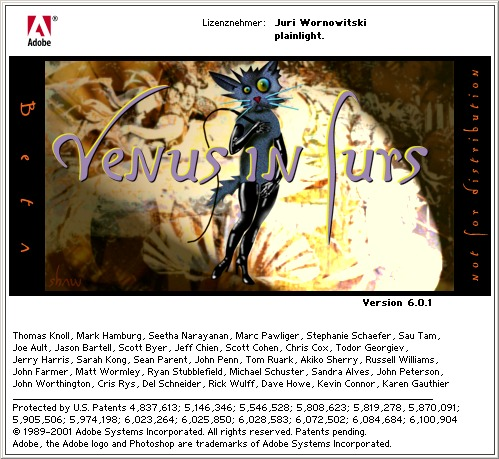 A collection of retail and test Photoshop splash screens up to CS2 (Space Monkey), from the internet archive. Splash screens for all Beta versions up to CS6 (Superstition).